Last week I was thrilled to have Kate from Hobbyheadz on the blog telling us all about her business and her products. Her business isn’t very old and she’s doing what many business mums need to do, and getting the word out there and promoting herself. 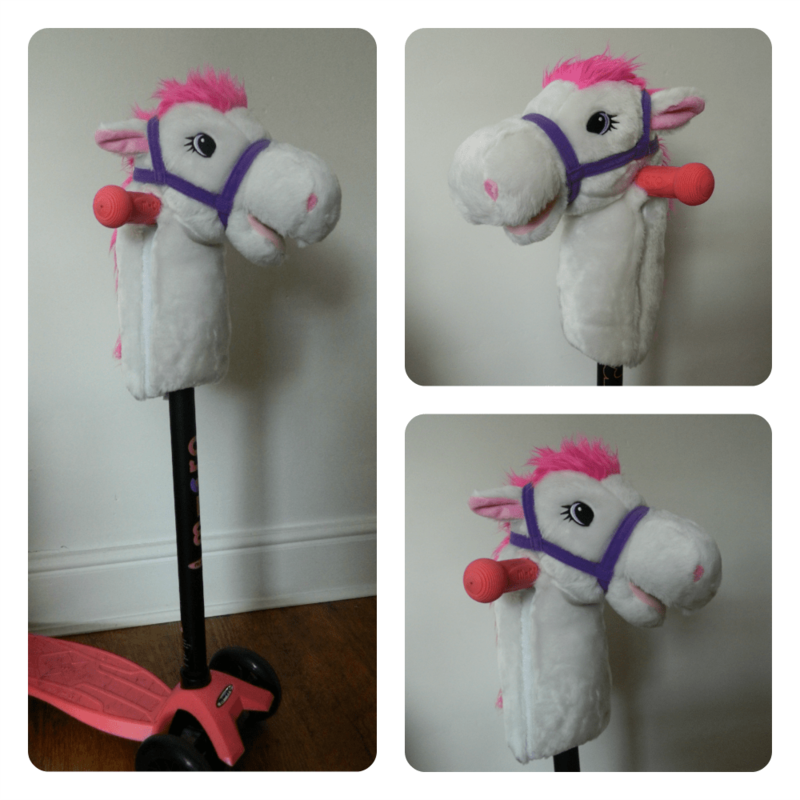 Part of that has included sending me one of her products, the very white and pink Hobbyheadz horse for Miss R to roadtest on her lovely new scooter. Selling for just £20 each, these heads fit onto pretty much any scooter. Velcro fastenings on either side of the head allow it to be opened and closed very easily, which is great for when it’s raining. Miss R is very girly and loves anything pink so is thrilled with her new Hobbyheadz. It’s a great way to fire up children’s imagination too and many a day she’s been ‘galloping’ up to school. Which is great when you want to get there quickly! Easily washable when the need arises and great for personalising your scooter too. If, like us, you live in an area where many children have the same type of scooter, you’ll never lose yours when it’s wearing a Hobbyheadz. At the moment Kate’s Hobbyheadz business is developing and growing and later this year she’ll have a few more products available. At the moment, there are some fabulous heads on her website for both boys and girls, so if a white horse isn’t right for your little one, take a look at the others. My personal favourite is the Dragon! 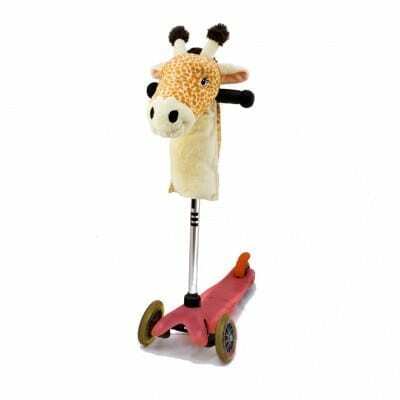 But I’m also quite partial to the Giraffe too! Thank you to Hobbyheadz for sending me a product to review. The opinions and comments are honest and genuine.